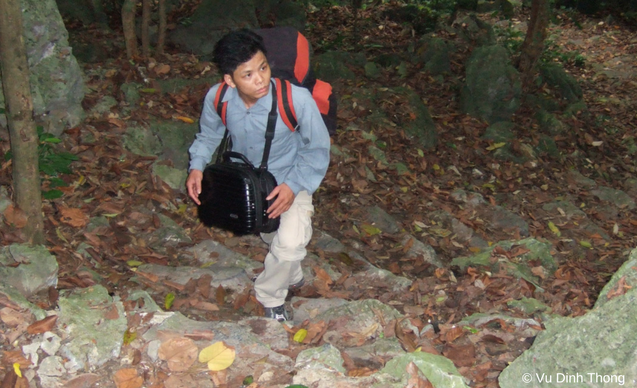 In 2001, the Conservation Leadership Programme (CLP) funded a project led by Vu Dinh Thong to study the diversity and status of bats in Vietnam’s Bach Ma National Park. This award provided the spark that ignited his latent interest in conservation. 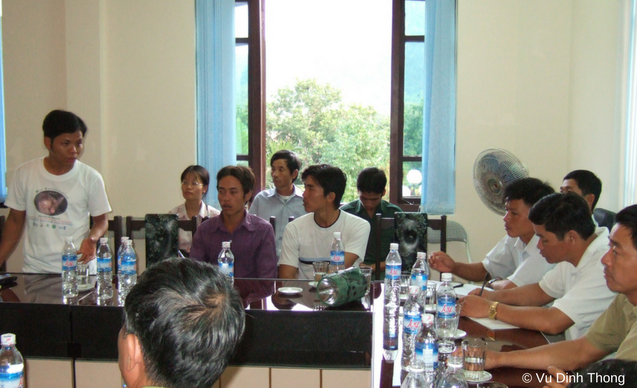 Five years later, Thong received further support for his bat conservation work, this time in Cat Ba Biosphere Reserve. Today, he is an acknowledged expert on Vietnam’s bats and their conservation. I first started paying attention to wildlife in 1995 during a field excursion at the end of my second semester at Hanoi National University of Education. But, to be honest, until I received an award from the BP Conservation Programme (the former name of CLP) in 2001, I was focused on academic research and had very little interest in wildlife conservation. With support from CLP to attend the training workshop for project leaders in London, I got the chance to come to England. I took the opportunity to visit the Harrison Institute in Sevenoaks to learn about bat taxonomy and systematics. As a result of what I learnt I became the first bat specialist in Vietnam, and came to understand more about the diversity of bats and their status in my country. Since then, I have carried on conducting research on bats and their conservation. To my mind, CLP was responsible for initiating my career and helped me to direct the trends in bat research and conservation in Vietnam. When I was a student at university, my supervisor Professor Tran Hong Viet announced that Vietnam lacked bat specialists, and encouraged me and my classmates to focus on bat research. My first boss, Professor Cao Van Sung [a specialist in small mammals] recognised my capabilities and passion in research. He was the one who passed me the announcement from the BP Conservation Programme inviting people to apply for a grant. This was just a few weeks before the deadline for submission of the pre-application form. Until that moment, I had never heard of CLP. Why are you particularly interested in bats? 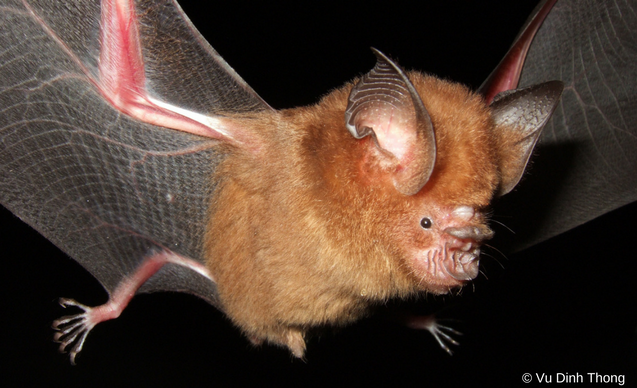 I’m fascinated by bat diversity and, in particular, by echolocation. 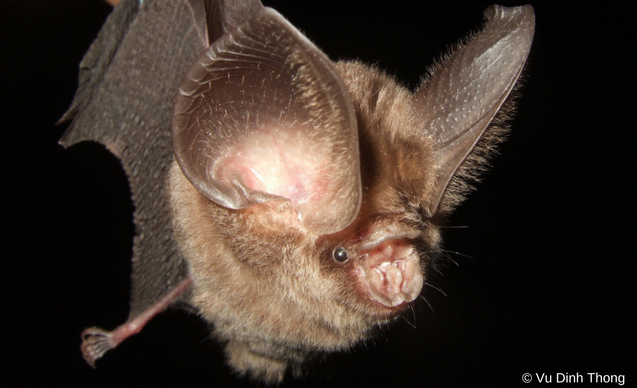 Bats have diverse systematics and external features. Their echolocation capabilities are absolutely brilliant. To my knowledge, humans still know very little about this subject. Like other Vietnamese wildlife, some bats are extremely threatened by human activities, which include cave visiting by tourists, poaching and habitat loss. Bats are very sensitive to disturbance and many may become extinct unless conservation actions are implemented in time. I came to appreciate that bats are vitally important in ecosystems and need consideration from humans. What aspect of CLP support did you find most helpful? It was CLP who actually launched my whole career by providing support for my projects in bat research and conservation. Both my CLP-funded projects attracted a lot of attention from PhD candidates, scientists and the public, so they gave me a great opportunity to raise my profile. I have stayed in contact with CLP ever since that first project in 2001, and I receive updates through emails, Facebook, Roots Up and meetings with other alumni. The whole CLP team over the past 16 years has always been kind, thoughtful, friendly and willing to help, and encouraged me in both research and conservation. I am very grateful. My work has led me to interesting findings, new to Vietnam and to science. I have also had the chance to help my colleagues in wildlife research and conservation, particularly in training and supervising followers and colleagues. I have also successfully supervised four MSc students in bat research and three PhD candidates, who will have finished their studies on bats by the end of 2017. 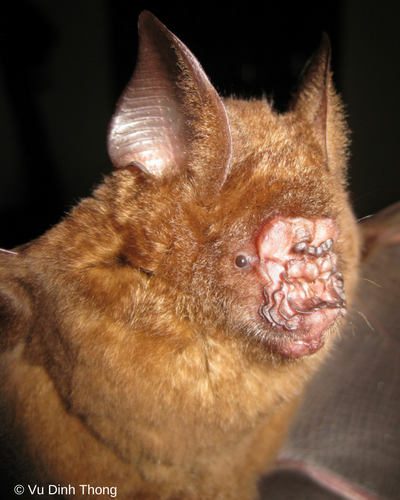 I have made new discoveries including a species of bat – Hipposideros khaokhouayensis – not previously known from Vietnam, and a species and subspecies – Hipposideros griffini and Hipposideros alongensis sungi respectively – that are both new to science. I created the first echolocation database in Vietnam and through my work I have raised awareness within the Vietnamese scientific community about bat research and conservation. Prior to 2000, there were no Vietnamese bat specialists in the country. All material published in international journals used to be written by foreigners. That is no longer the case. One of the visible impacts from my CLP projects is that Vietnam now has at least three PhD students specialising in bat research. What are Vietnam’s biggest conservation challenges? Illegal hunting of wildlife and habitat loss or disturbance are both big problems, not only for bats, but also for other threatened wildlife. What are the keys to success for conservationists in your country? It needs a combination of communication skills and scientific research. Some conservationists are good at communication but have no personal background in research to convince the authorities or society about the need for conservation. On the other hand, some researchers are very good at research but not good at training or communication. Both communication skills and research capacity are equally important. What are your plans for the next stage of your career? I plan to carry on implementing research, conservation and training to help save the threatened species and their habitats; to understand more about bat diversity and echolocation behaviour; to increase conservation awareness within the scientific and public domain; and to build and strengthen a national network for bat research and general mammal research and conservation. What advice do you have for the next generation of conservationists in Vietnam? You should have a real passion for wildlife research and conservation. Everyone needs to be aware that there will be some difficulties at the beginning, but that is no reason to give up. Success never comes easily. It takes a lot of effort. Both my CLP-funded projects attracted a lot of attention from PhD candidates, scientists and the public, so they gave me a great opportunity to raise my profile.